LNG industry is going to be vibrant in the coming years in Bangladesh and dominate the energy sector. Relevant people should look into the business model where LNG price can be kept consistently low, this will give opportunity to the government and the country to make savings and protect the interest of the people. If we have an analysis on LNG pricing among 3 gas powers: Qatar, Russia, USA, then time will tell where the tide goes in the LNG market race but one thing is certain - the prospect of low cost LNG is good amid a time of carbon emission concerns and growing risk (political uncertainty). In addition to that the government should enforce local competence build-up for the sustainability of LNG industry in the long run. Every foreign/local LNG developer (FS/FEED/EPC) should incorporate noticeable percentage of local resources during survey, design and construction stage of LNG terminal project implementation. For instance, Telco developed 2000 local professionals/engineers in last 20 years. The aim of LNG industry is to produce at least 1000 energy professionals/resources by 2030. Then we will enjoy LNG with our skilled local resources by reducing dependency on foreign companies over a period of time in the operation and maintenance of LNG terminals. Holistic approach is mandatory to make successful this type of high valued technical and complex energy project implementation in Bangladesh. Gas is not like oil as a commodity. Oil as a global commodity is of high international importance. Gas is still dominated by regional and local forces. Only 30% of the gas consumed in the world goes across the border. The equivalent for oil is over 70%. The oil market is flexible and nimble; the gas market is rigid, relying on costly infrastructure and often traded via long-term contracts. The price of oil is the same around the world, plus or minus transport cost and differentials in quality. Gas prices, by contrast, are all over the place; they vary between and within regions and they even vary within countries (by supplier). And while oil prices tend to move together all over the world, gas prices do not depend on external considerations. In one place price might be rising while in another falling. Oil prices moving in opposite directions in different countries is a rare exception: in gas, it is possible. First, it is more expensive to transport gas than oil, especially over long distances as natural gas needs to be cooled to form LNG. So fewer countries import and export gas and rarely does both. Second, gas has traditionally been traded through long term contracts with a fixed source and destination - meaning that less gas can flow to markets. And thirdly, gas price has historically been tied to oil in effect reflecting the scarcity of oil not gas and hence not communicating meaningful signals for trade or investment. In the gas market, it is difficult for shocks to reverberate globally. There is no evidence that prices are any more correlated today than in the past. In the second half of 2017, gas price in the UK rose by 70% but declined by 7% in the US and 2% in Japan. In Germany, the border price rose by 19% but in France it declined by 6% and Norway’s export price rose by 28%; Canada’s export price rose by 18%. In Asia, the import price in Thailand rose by 13% while Japan’s fell. Prices are moving in different directions and by different magnitude. 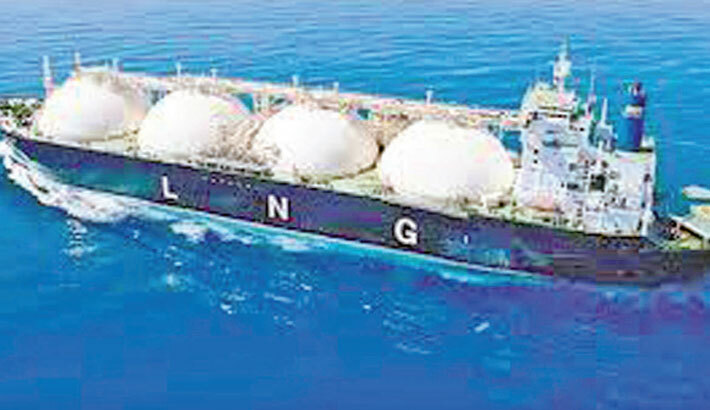 LNG Sales Purchase Agreement (SPA) should be very carefully done as the country may enjoy development journey or may face negative impact in the desired economic growth.